Bass Lessons - MUSIC LESSONS IN DENVILLE, PARSIPPANY, MOUNTAIN LAKES, BOONTON TOWNSHIP AND BOONTON. 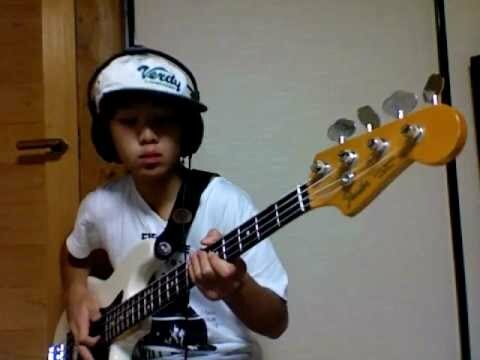 What will I learn in my Bass Lesson? Each bass lesson consists of a 30-60 minute one on one private class with one of our highly qualified teachers. Every teacher is specifically chosen for each individual student. From week to week, our teachers will personalize a lesson specifically designed for each of their students based on their skill level, interests, and learning needs. Every student will be taught the basics of rhythm, reading music, and music theory to help them grow as a musician. In our bass lessons specifically, they will focus on the rhythm and the importance that the bass has in all forms of music. Do I need to rent/purchase my own instrument? While we do have basses that students can use in lessons at the studio, it is extremely important for all students to have their own instrument so they have the ability to practice and master their instrument at home. All of our instructors are extremely qualified in being able to help you find the appropriate instrument, in all different price ranges! The bass is one of the most important instruments out there. This vital instrument forms the glue that keeps the whole band together. The bass forms the lower notes of many chords giving music feeling and soul. Students have different options when it comes to bass including electric and upright. Most choose to start out on the electric bass as it is easier and more cost effective to learn.